Acme United’s (US: ACU – $16.20) European team exhibited at the IWA OutdoorClassics. The leading international trade fair for hunting and shooting sports, outdoor equipment, and civilian and government security needs has been taking place annually at the Exhibition Centre in Nuremberg, Germany since 1974. The event brings together manufacturers, importers, wholesalers, and retailers active in these sectors from around 120 nations. Acme shared a booth at IWA with well-known German knife manufacturer Schmiedeglut. Both companies are a good fit, because Schmiedeglut promotes using DMT sharpeners on its own website where it highlights DMT as the best sharpener on the market. At the same time Schmiedeglut demonstrated how to sharpen a knife at the IWA booth using DMT equipment, which attracted lots of people. Lots of new Camillus products that were revealed at the latest SHOT Show, were now shown for the first time to the European audience. These will all become available shortly on the European market. Also DMT continues to perform really well in Europe. The sharpener brand was already well-known in Europe when Acme United acquired the company in 2016. Since then however, the European team really boosted sales of the brand as it introduced the products to many new distributors, wholesalers and specialized dealers. 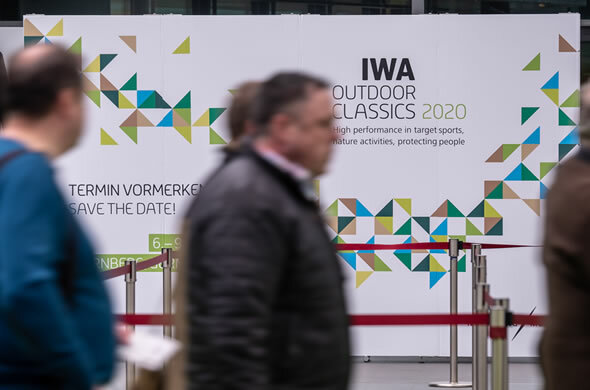 Whether your interests are in the traditional crafts of gunsmiths and cutlers, or cutting-edge manufacturing technology for high-precision sports firearms and optics – the IWA OutdoorClassics has been the must-do event in Europe for trade and industry for the last four and a half decades. The original exhibition for German retailers and craftsmen in this specialist field gave way to a multi-thematic event that ranges from equipment for hunting and shooting sports to the experience of the great outdoors and personal protection needs. The IWA trade fair was again successful for Acme United. Lots of existing and new potential customers saw the latest developments at DMT, Camillus, and Cuda. We have every reason to believe that the European segment will continue on its strong growth path. Remember that in 2018, the segment’s sales grew by more than 13%. Smallcaps recommendation: BUY.